Guild Wars 2 has received more than a few updates since it launches in 2012, with long, episodic story arcs, PvP-focused patches and gear overhauls, but NCsoft and ArenaNet have yet to even tease an expansion. But it looks like one is now on the way. 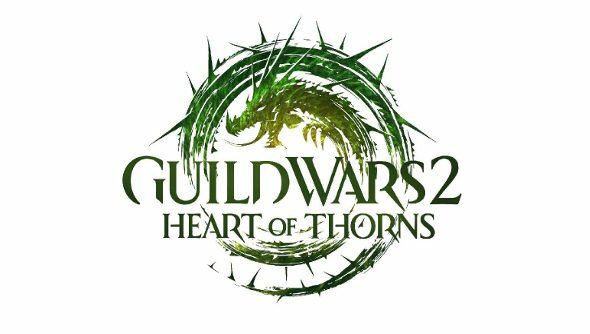 NCSoft has trademarked Guild Wars 2: Heart of Thorns, spotted on Reddit, which sounds expansion-y, and there’s a logo too, suggesting that an announcement isn’t far off, especially with PAX kicking off on January 24th. Guild Wars’ Living World is the fancy name given to the major, episodic story updates, some with world-changing ramifications. Currently, Guild Wars is in the middle of the second season of the Living World, and perhaps that, or the subsequent season, will tie into the expansion. What changes it will bring is not clear, though classes and new areas could be on the cards if it’s anything like the first game’s expansions.